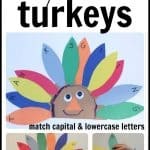 Alphabet Easter Egg Hunt & Match - I Can Teach My Child! Nevertheless, this Alphabet Easter Egg Hunt & Match activity was Little Sister’s favorite “game” that we have played recently. And I loved it because there was hardly any prep- I just grabbed the puzzle pieces and some plastic eggs then drew some letters with chalk! 1. Put the letters inside the plastic Easter eggs. I just chose to do letters A-G this time around. 2. 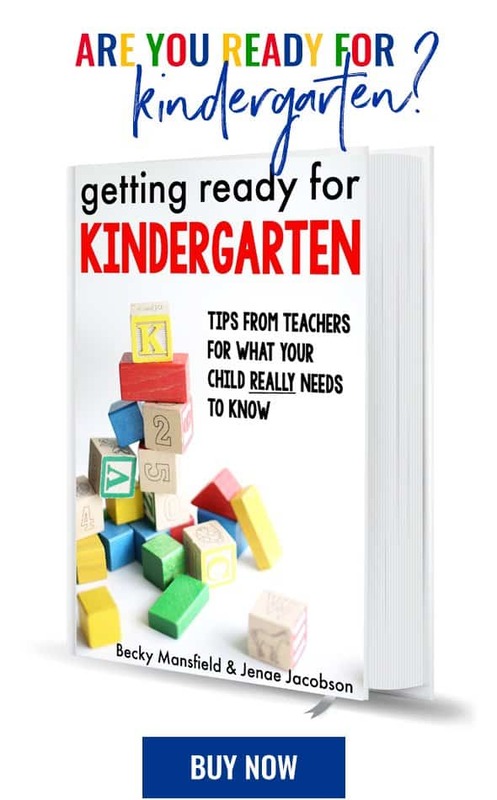 Go outside and write the corresponding letters in chalk on the sidewalk or driveway. You could match capital/lowercase letters or you could just focus on one. I chose to make it easier and match the capital letter puzzle piece to the capital letter egg. 3. Hide your eggs outside. 4. 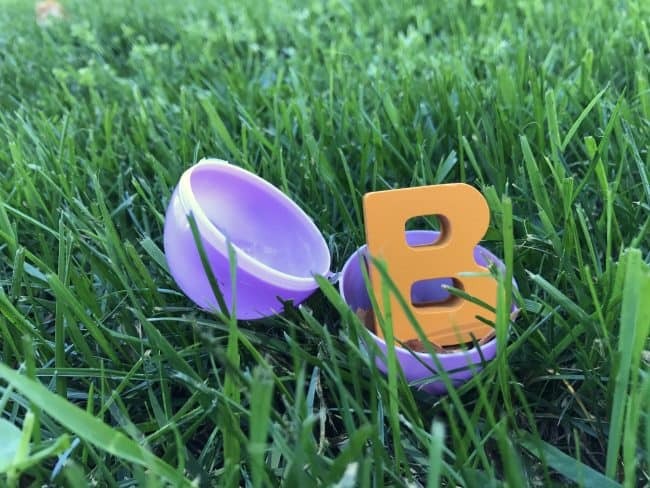 Encourage your child to “hunt” for the hidden eggs, opening them each up to reveal what letter is inside. 5. Have your child match the letter inside the egg to the letter on the sidewalk. 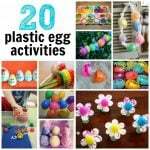 Check out more Easter activities and crafts here! Alphabet Craft: Easter Egg Stamping on the Letter "E"
Oh! Great! Although simple but very beautiful! I believe my daughter (son) will not be able to refuse items made by my own hands! Thanks for your post!